Audio Blast is a company that creates VST instruments for live performance. 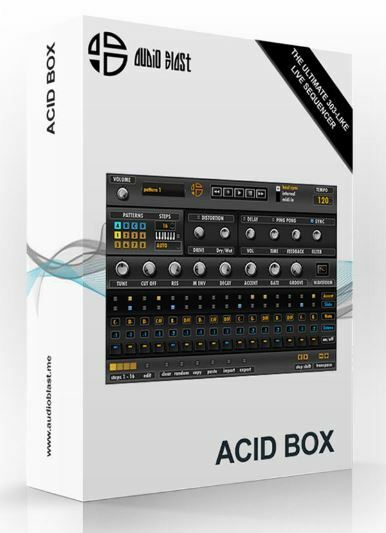 Acid Box is their second product, and it is a 303-like live sequencer, inspired by the renowned Roland TB-303 bass synthesizer/sequencer. The product has a synth bar, with two available waveforms (sawtooth and square), and the user can edit parameters such as cutoff, resonance, decay, accent, gate, and more. The effects section has built-in distortion, with four distortion types, and a Delay section, with parameters like time, feedback, filter and volume. The Sequencer part has controls for accent, slide, octave selector, note on/off and pitch. It works as any typical step-sequencer, so no worries or surprises. Acid Box GUI changes when the user selects the Midi In mode. A keyboard will appear instead of the step-sequencer and it will turn Acid Box into a classic synth. It will make possible to record a sequence on the fly with an external MIDI keyboard. The tools bar at the bottom shows some interesting features from the step-sequencer. 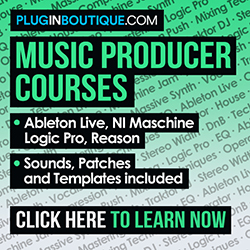 The user can copy and paste sequences easily, as well as import and export MIDI patterns. 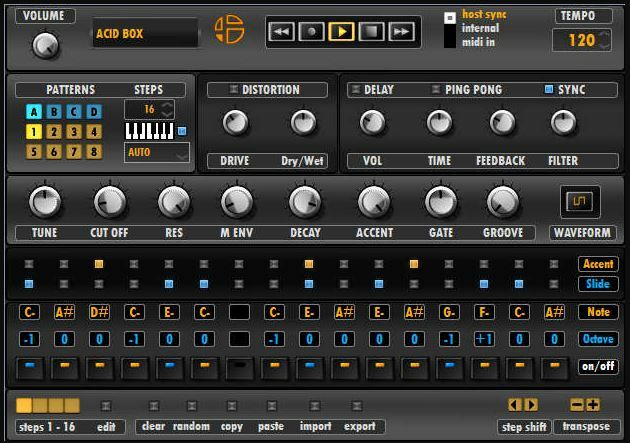 Although it seems not so obvious, it’s also possible to set several controls from Acid Box to an external Midi controller. If you’re running Ableton Live, for example, you can map several parameters, such as Main Volume, CutOff, Resonance, Envelope Modulation, Distortion, Groove, Waveform, Gate, Delay sync, Accent and much more.